Moments of Mommyhood: Hooray, It's Muffin Tin Monday! Once again, it's Muffin Tin Monday and my girls are very happy about that! They seriously would eat every meal from a muffin tin, and why not! It's so much fun! You know, I eat my lunch from a muffin tin on Mondays too! So here it is, our muffin tin lunch! Nice tin! Everything looks soo good. And thanks for the SITStahood welcome! That's a cute idea. Although I don't have any kids and it's a little inconvenient to bring a muffin tin to work. OH well. Ooh, yummy and fun tin!!! What a great idea!! 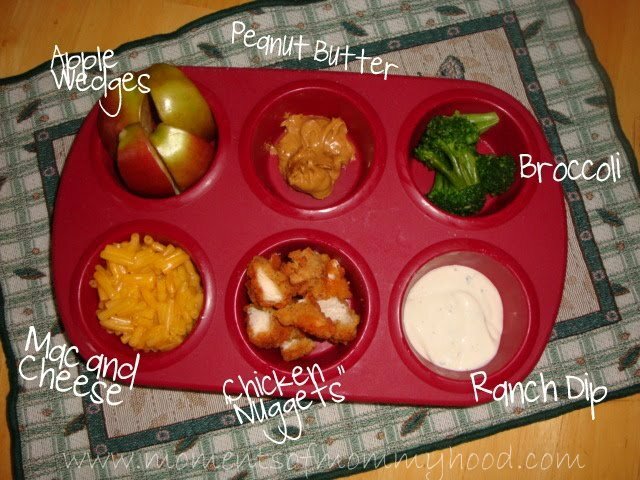 Such a fun way to get your kids to eat right!! Thats a great idea! The possibilities are endless with this! Thanks for the eelcome, SITSta! Oops, that should say "welcome"....I'm making typos already and its only Monday. Oh boy. Remind me again where you get those muffin tins - I haven't found anything like them at the stores I frequent! Looks delicious! I get my muffin tin from Michaels or Joanns. so glad to have you back Sandy! That Mac N Cheese looks nummy! What a yummy looking lunch! You know, I have not eaten from a muffin tin myself yet. I've thought about it but never put one together for myself. Maybe next time I will. Your muffin tin is so much cuter than my old rusty thing. It looks so appealing all displayed like that. 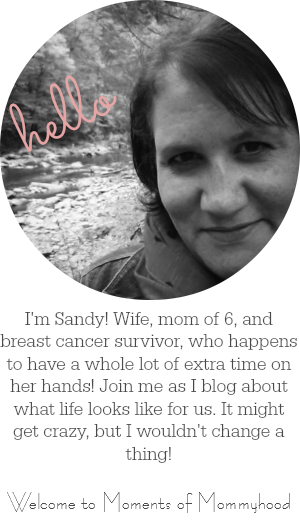 Thanks for the comment on my blog- hope you're having an awesome week! Yummy lunch!! Mac and cheese is an all-time fav at this house! What a fun idea! I bet they love it! That is a good way to get the kids to eat! This? Is brilliant. I'm tucking it away in my bag of tricks for when I have kids.